Recently I went to visit YKM at his factory in XinChang Zhejiang. 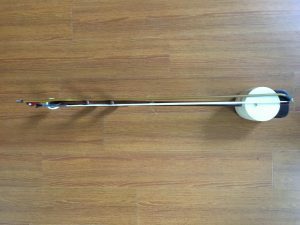 Besides eating food grown from his farm, honey harvested from his bee hives and fish caught from his fish farm, he also showed me this instrument called the Shaoju Banhu. 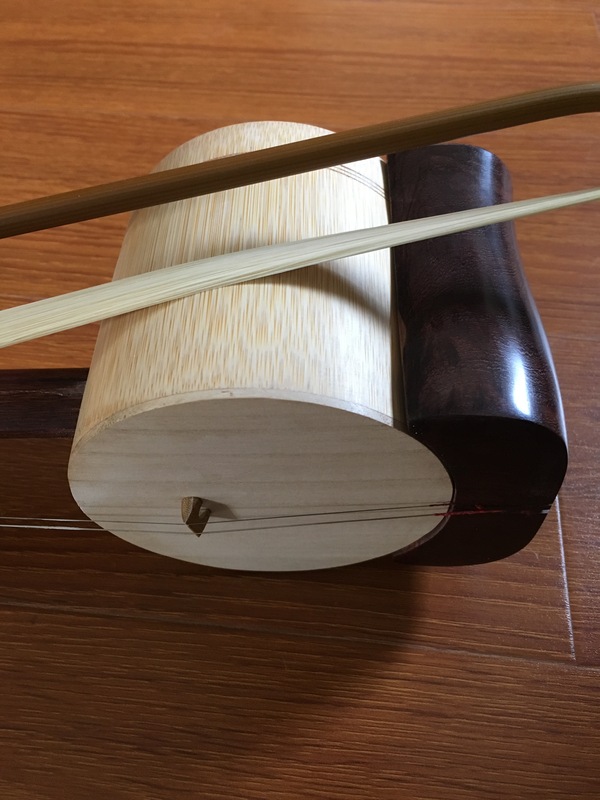 A Shaoju banhu (绍剧板胡), a huqin used to accompany Shaoju (绍剧), a form of local Chinese opera originating in the Shaoxing region of Zhejiang province, near Shanghai. 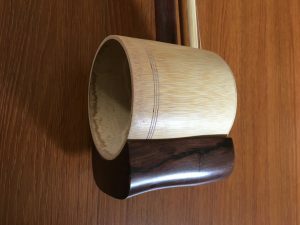 The long and short of it is that it is an instrument that sounds like the Banhu but is 100 times easier to play than the Banhu. 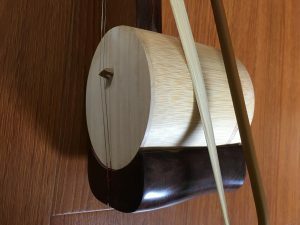 Now if you have played the Banhu before, you will agree that if you do not play it hard enough, it squeaks like a mouse. Besides the volume, the tension on the strings are so high you have to exert tremendous strength to prevent harmonics from appearing. In other words, it is a super not responsive instrument. 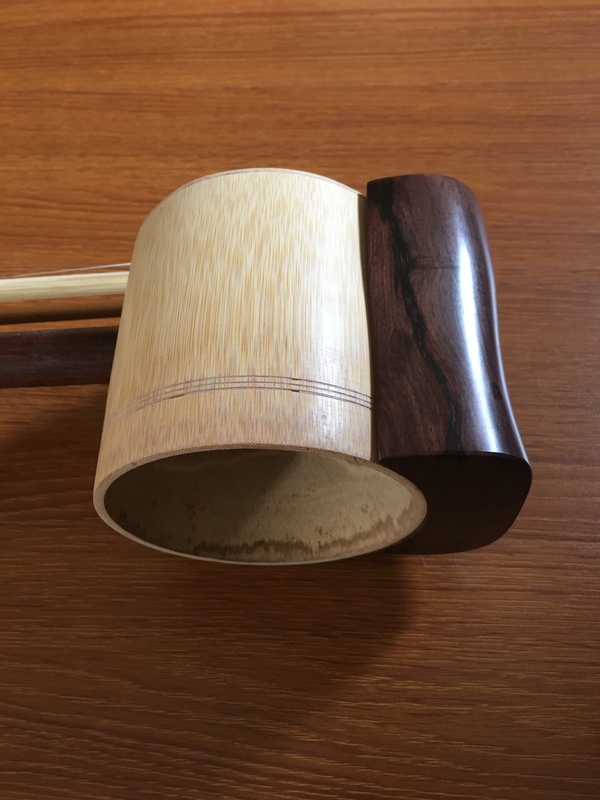 All in all it is a super frustrating instrument to play, albeit with a wonderful unique tone. Enter the Shaoju Banhu. 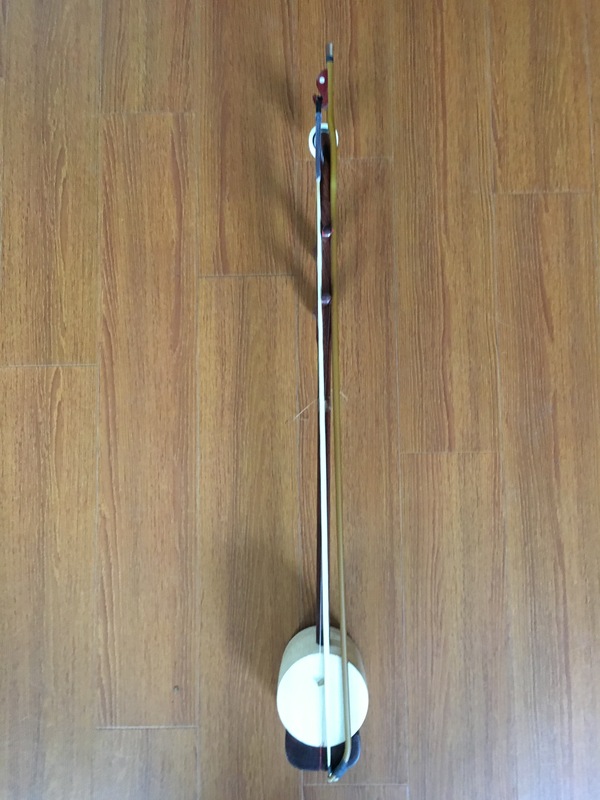 The neck and head looks like an Erhu’s but the resonator is made from a massive bamboo. 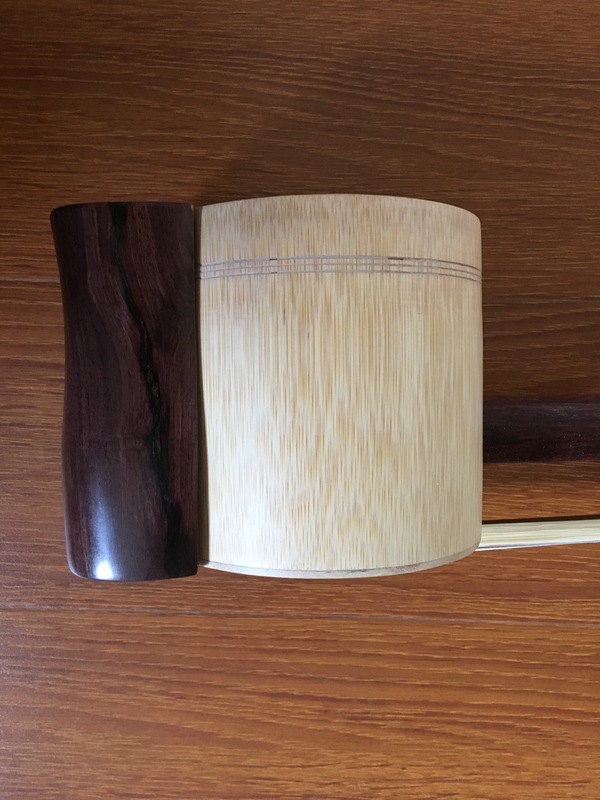 The most important thing is that it plays just like an Erhu and sounds like a Banhu. I could play it all day without getting finger cramps and tendonitis. 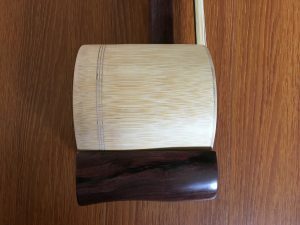 This instrument could take away all the pain of playing a Banhu and still have that sweet sweet sound of Banhu. Currently priced at US$299. Stocks will be coming in 1-2 months time. Email us at [email protected] if you would like to reserve one.